There are 50 USA states, including Alaska near the arctic and Hawaii in the Pacific Ocean. Originally there were 13 states located on the East Coast, which were ruled by England until 1776. Today, each state establishes laws, but they are ruled by the Federal Government. 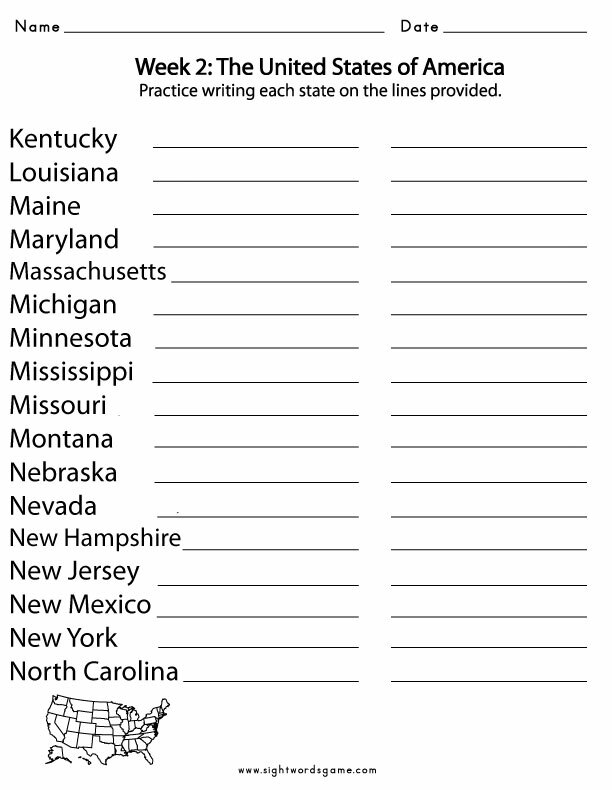 Most curriculums will require students to learn how to spell each state correctly as well as know its abbreviation. Our elementary school introduces the fifty states in fifth grade. 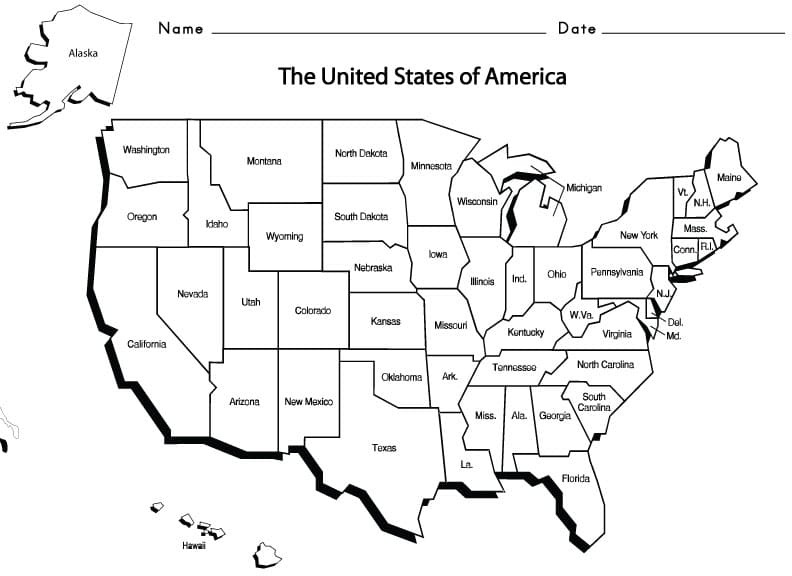 Each student must be able to identify the location of each state. We created the two worksheets above to offer assistance. After a child knows the location of each state, they are then expected to be able to spell each state correctly. 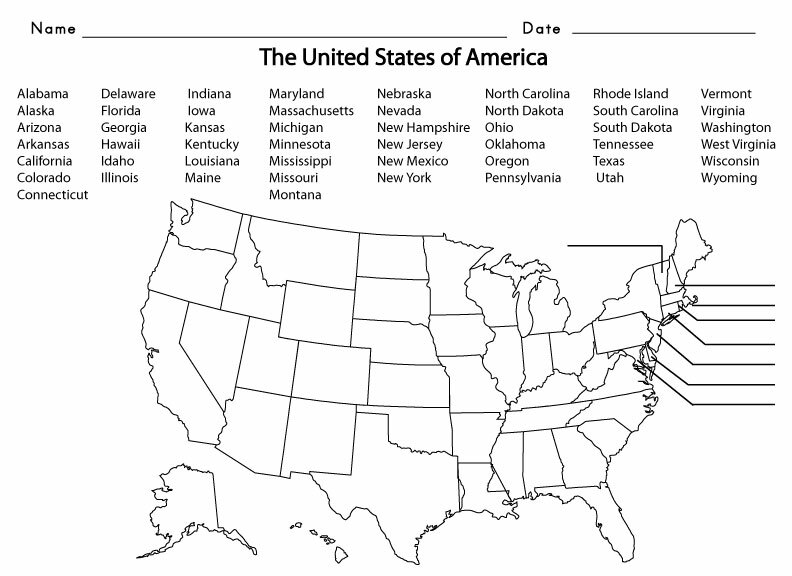 Our fifth grade spelling program divided the 50 states into 3 sections. 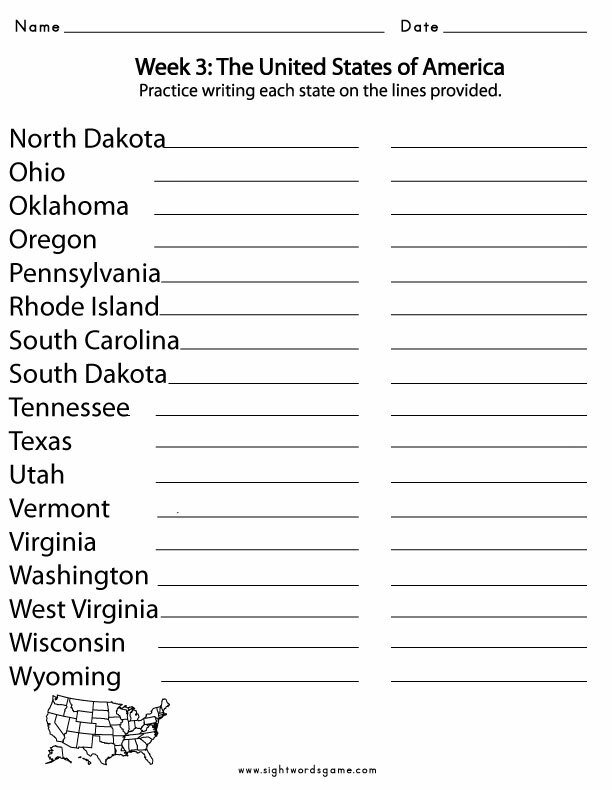 We created the following worksheets to help your child learn how to spell the fifty states correctly. We listed the 50 USA states and capitals below as well as an abbreviation, meaning of the state name and date of entry into the union. He was entirely right. This post truly made my day. You cann’t consider just how a lot time I had spent for this info!